Wineware’s Top 5 Quirky / Different Gifts for Christmas! With just over 3 weeks to go until Christmas, the festive season is nearly upon us. The famous green tree is lit up in the lounge and the decorating has been done, the flutter of different coloured envelopes meet you at your doorstep every morning, it’s Christmas! If you’re looking to get your friends and family a slightly ‘different’ wine related gift, something quirky, well you’ve come to the right place! Here at Wineware, we like to stock some things that aren’t always readable available in the shops, so we’ve listed our Top 5 Quirky / Different Gifts for christmas below! 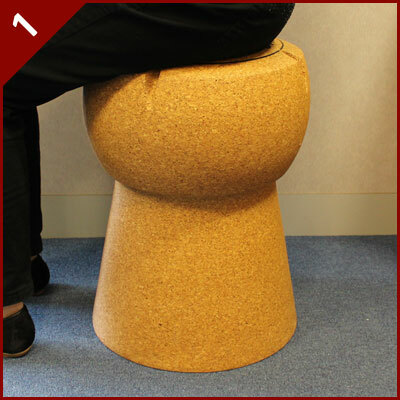 If you want totally different and unique…look no further a Giant XL Cork Stool! Shaped like either a champagne cork or a wine cork, this pieces of furniture make the ultimate accessory for any wine lover. Made from 100% sustainable cork from Portugal, they are robust, stable and innovative. The Corkcicle is designed to keep your wine chilled from ‘inside’ the bottle, as well as offering a great aeration and pour from bottle to glass. Simply store the Corkcicle in the freezer until you wish to drink your white wine, slot the device into a bottle and let it chill until you’re ready to serve. Keep the corkcicle within the bottle even when you serve, a helpful spout is included in the design! Now this is the ultimate tool for Martini! 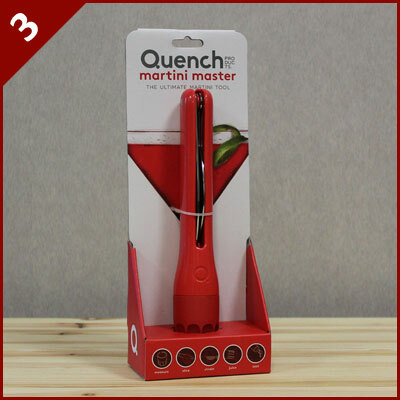 Whether it’s up, down, shaken or stirred, mix up your favourite Martini just like Mr Bond himself with this all in one tool from Quench! Included in this handy set is a jigger, knife, reamer, zester, channel knife and strainer! Made from high quality stainless steel and BPA free plastic with an ergonomic easy to use handle. 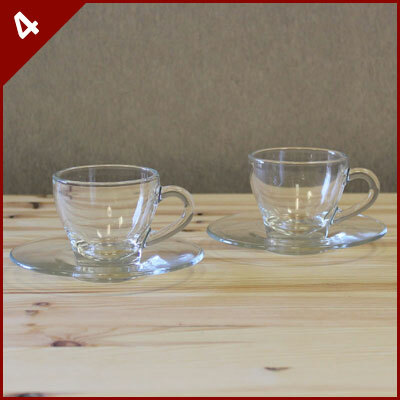 Our clear glass espresso cup and saucer set from Montana stands out from the crowd! This handy little set includes 6 cups and 6 saucers and won’t take up too much space in your cupboards. You could even treat yourself instead if you like a cup of coffee in the morning! 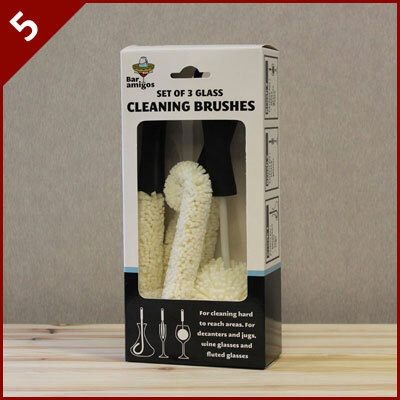 This handy 3 piece cleaning set will make your glassware shine again! 3 brushes, designed for different purposes, 1 for a decanter, 1 for a standard wine glass and 1 for a long fluted champagne glass. The bendable brushes are long lasting and won’t scratch glass surfaces. Have you considered a a Wineware Gift Voucher instead? If you can’t decide, let your friends and family pick their own wine related gift! You have until 12 Noon on Monday 22nd December for guaranteed pre-Christmas dispatch!